The budding rower, Aparna, who died after consuming a poisonous fruit in an apparent suicide pact with three other colleagues, had apologised to her mother for taking the extreme step. 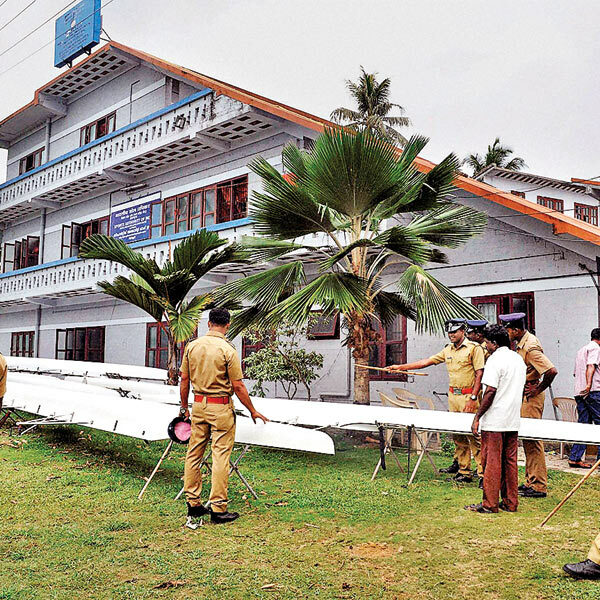 The four were driven to suicide following alleged harassment by seniors at Sports Authority of India centre in Alapuzha, Kerala. Aparna's grieving mother Geeta said the deceased athlete had told her about the "mental and physical harassment" meted out to them by seniors at the SAI hostel while fighting for life at the hospital. Geeta also said her daughter had no intention of committing suicide, but did it as there was no other option before her following the continuous harassment. "My daughter had come home for Vishu (sa Malayalee festival) on April 15 and had told me it was difficult to share a room with the seniors. When the hostel warden was informed, she had promised to shift her to another room within three months". But Geeta said her daughter later gave the impression that all was well at the hostel..
"But in the hospital bed, while battling for her life, my child told me the truth about the seniors. Two seniors used to constantly harass Aparna and the other girls, due to which they consumed the poisonous fruit," Geeta said. Aparna had been undergoing training at the water sports training centre of Sports Authority of India for the past five years. Geeta said her daughter continued to stay in the hostel despite the harassment because of the family's circumstances. Aparna wanted to get a job to provide a better life to her younger brother, an eighth grader at a local school. While her father is a worker in a house boat, her mother is an anganwadi worker. All the family's hopes rested on the rowing champion, who had brought laurels to the state. Meanwhile, the condition of the three other athletes at the hospital is said to be stable. Kerala Home Minister Ramesh Chennithala, who visited the girls at the hospital, promised an unbiased probe. Alapuzha Medical college Hospital superintendent Santosh Raghavan told PTI that the three girls continue to be critical, but their condition had stabilised. There is no specific antidote. "We are trying to treat the main target organ, the heart. Teleconference with medical experts of the AIIMS, Delhi, was being held," he said.